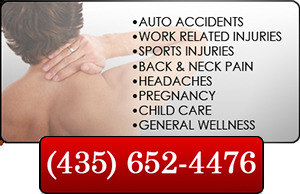 Our mission at StoneRidge Chiropractic is to provide affordable, high quality health care to people of all ages. We strive not only to correct a person's health problems, but also to educate and enlighten people so that they do not encounter similar problems in the future. New patients are welcome and usually can be seen on the same day. Is pain, injury or stress preventing you from being yourself? The care at StoneRidge Chiropractic can bring you back to a healthy life. We can help you regain the quality of life you may have been missing with our non-invasive, drug free treatment, in a professional and comfortable environment. Whether you are suffering from back pain, headaches, or have been injured in a car accident or work related injury, we can make you feel better using our gentle chiropractic adjustments and therapy. Trained in instrument techniques such as ProAdjuster, Impluse IQ, and Activator. Children, elderly, or even pregnant women can all benefit with our chiropractic care. With over 30 years of experience, StoneRidge Chiropractic offers some of the best Chiropractic treatment in Southern Utah.